When USB was first introduced to consumers, it changed everything. The connection standard made adding peripherals and accessories extremely easy. Before it, adding things over parallel or serial ports was tedious and confusing for consumers. USB has evolved and become faster over the years, however it is slowly learning new tricks too. USB is now capable of pushing high-quality video, but now it goes further. You see, mobile devices will be able to push 4K video over the upcoming USB 3.1 Type-C connection, thanks to MHL's new "Alternate Mode". 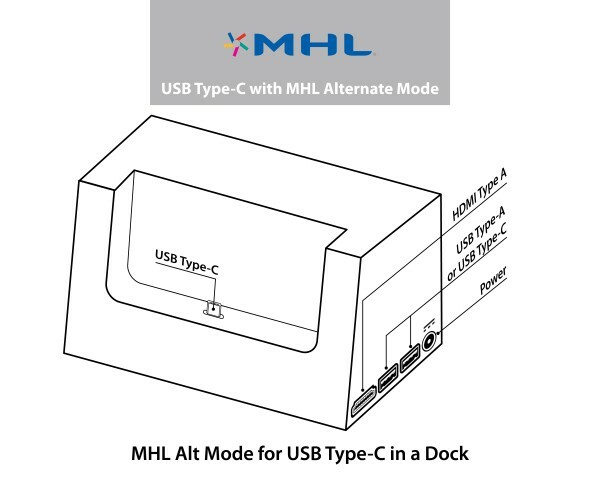 "MHL, LLC has developed an MHL Alternate Mode ('Alt Mode') for the USB Type-C specification. Using the MHL Alt Mode, a USB Type-C connector and cable can support the MHL 3 specification, which includes 4K video, multi-channel surround sound audio, HDCP 2.2 and is backward compatible with existing versions of the MHL specification. 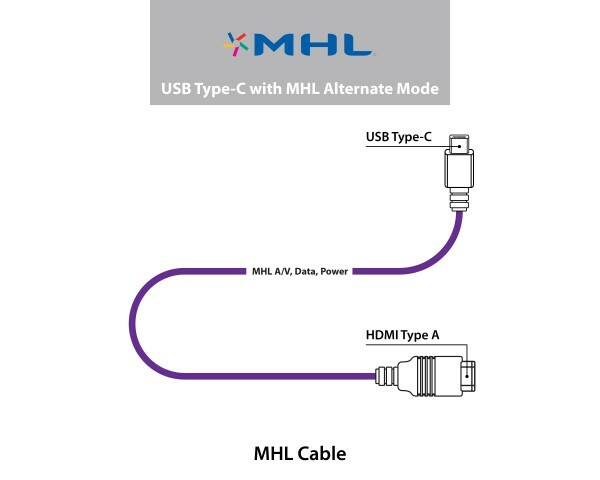 The MHL Consortium continues to advance the MHL specification to support additional capabilities and connectors, such as USB Type-C, ahead of industry demand", says MHL, LLC. Jeff Ravencraft, USB-IF President and COO explains, "the USB Type-C cable and connector is designed to be a long-lasting, robust solution that is ideal for all platforms and devices. The USB-IF will be working in conjunction with MHL, LLC to establish complementary certification and compliance programs to properly support USB Type-C hosts and devices that incorporate MHL Alt Mode. The USB-IF is also in the process of developing joint port identification guidelines. We're coordinating with MHL, LLC to ensure consumers can recognize when MHL Alt Mode is supported on USB Type-C devices". As you can see in the image above, docks using the technology can be used to turn smartphones and tablets into media powerhouses. Media aside, it can also enable mobile devices to perform as a desktop. Imagine connecting an Android smartphone to a dock, connected to a mouse, keyboard and 4K monitor; the potential is limitless. Hopefully manufacturers, including Microsoft, embrace this technology. Are you excited about the potential of Alternate Mode on SUB Type-C? Tell me in the comments.